Expanding your portfolio from single-family homes to multi-family deals is a great step … but there are other paths to an even bigger deal! Commercial real estate investing means bigger properties and bigger opportunities … and it could yield BIG benefits for savvy investors. From retail storefronts to office space to industrial warehouses … commercial property is full of options … each with their own pros and cons. Real estate is a resilient product … that’s why so many people are eager to get in the game. There are tons of ways to invest in real estate. Most investors start with what they know … single family homes. But that’s not the only way! We see commercial real estate as a great opportunity for beginning investors … and for experienced investors too. There are different product types, different lease lengths, and different landlord laws. And then you have to choose between existing properties and new construction. Tom K. Wilson has done half a billion dollars in real estate with thousands of units in many different places … and he knows the perks of commercial real estate. Like many investors, Tom started his real estate career in the single family marketplace. We promote the value of surrounding yourself with smart people …. and that’s exactly what Tom did. He soon realized an interesting pattern. Most of the successful investors Tom knew were investing in areas away from where they lived. By investing several states away, investors found better deals and growing markets. So, Tom started looking elsewhere. 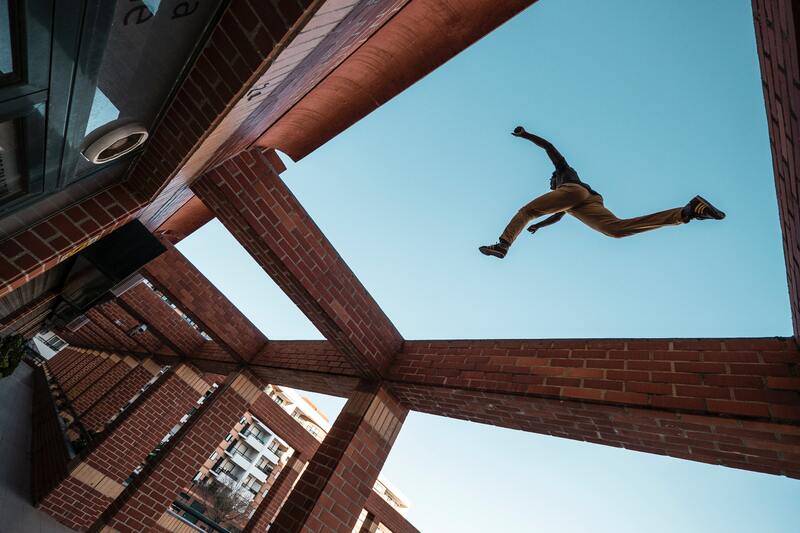 He found the Dallas market … and his first commercial deal. Dallas was more landlord friendly than Tom’s resident Bay Area. It also offered more consistent cash flow and held up well during the recession. Tom noted that there were some serious benefits to owning a commercial property as opposed to single-family homes or multi-family deals. After the 2008 crash, these types of commercial deals were performing better than their residential cousins … and they tended to come with a higher level of professional management. Typically when we talk about commercial property, we’re talking about leasing your property to a business rather than a person. It could be a retail establishment, a strip mall, an office, a restaurant, a gas station, a bowling alley, or a manufacturing facility … it’s all commercial! Like every asset class, there are pros and cons to investing in each type of commercial property. Industrial properties can include warehouses, operation centers, distribution centers, and manufacturing sites. Professional tenants that pay for a long time are one of the best things about industrial assets. 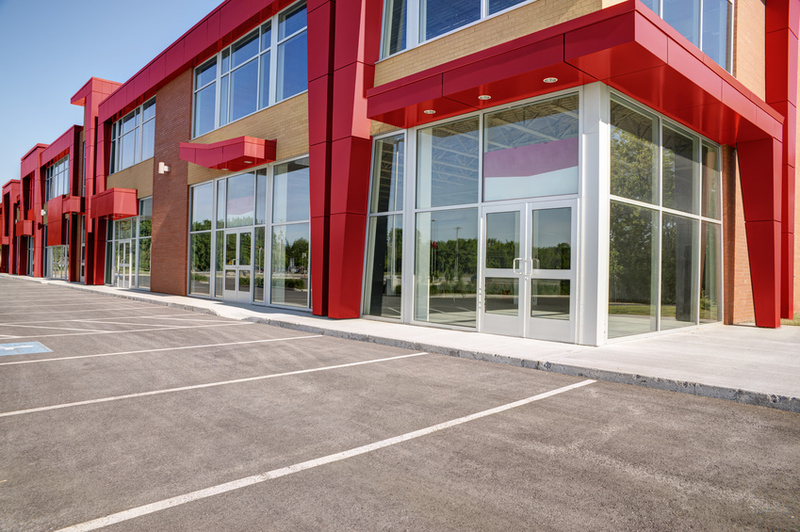 They’re also very versatile … a variety of businesses can use a property with wide open space, offices, and loading docks. When searching for an industrial property, note rooftop expansion and passing traffic. Can the site offer prominent enough visibility to attract major brands? Determine the path of progress for the community … this can signal if the area has the breadth of economy to support a big business. Tom comments that manufacturing sites in particular could offer great opportunities for future returns as manufacturing makes a comeback in the United States. The downside of industrial sites … they tend to be a single tenant product. If your tenant goes bankrupt, you’re left searching for a new source of cash flow. If you think everything is bought online … think again. You can’t get a haircut online. You can’t meet your buddy for a drink online. You can’t take your dog to the vet online. Everyone needs a place to live … and they often pick where they live based on where they can access essential services. Many large retailers are expanding their brick and mortar stores despite the online shopping craze … and online retailers like Amazon are investing in brick and mortar locations to build their brand. Like any asset class, there’s the good, the bad, and the ugly … but don’t discount retail without the proper research. Every day, people wake up and go to work. It’s true that more and more people are working from home … but there are still daily needs for human interaction in business. “I don’t think it is realistic to believe we’re going to see the day where everybody’s working from home,” Tom says. Both single and multi-tenant office spaces offer excellent opportunities for commercial deals. Tom recommends looking for office spaces that combine work centers with service centers as the demand for more office space near entertainment venues and amenities rises. Having an experienced team or partner on the ground that knows the area is especially important when buying office spaces. Locals will have the best read on where people want to spend their nine to five. You don’t have to have a lot of money to get started in commercial real estate. Tom has built his commercial real estate portfolio through the power of syndication. At some point, you run out of your own purchasing power … you’re out of dollars and cents but not out of enthusiasm, passion, or expertise. Partnering with those that have a proven track record, established credibility, and integrity sets you up for investment success. And by combining financial assets, you can do bigger deals and see bigger returns together than you ever could alone … especially in the commercial space. Like any investment, education is key. Learn how to leverage experts through syndication and tips for successful commercial deals in Tom’s special report Commercial Real Estate – The Best Investment Secret. Whether it’s your first deal or your first step into a new market, consider taking a look at commercial real estate investments to make equity happen. Houses aren’t the only properties in need of a little facelift. Hotels often need their own dose of tender loving care. Like any investment property, resorts come in all shapes and sizes … and some have major management issues. When a hotel is poorly the managed the result isn’t pretty … it’s often downright ugly. But that means YOU have an opportunity to add value, improve cash flow, and build equity. Listen in as we visit with two hospitality investors who find fun and profit as they renovate resort properties. Resort properties offer some of the highest returns on investment of any asset class. They are an attractive real estate deal … but one that can easily be mismanaged. When our guests, Josh and Melanie McCallen, see an ugly, non-performing resort property, they don’t see a failure … they see an opportunity. Josh and Melanie’s team at Accountable Equity renovates and revitalizes resorts. By creating higher-quality resorts, they create more income … and more value. But to correctly rehab a resort, you need a deep understanding of AND passion for the hospitality industry. Most of us don’t have that. So, partner with someone who does. The beauty of Josh and Melanie’s business model is syndication. You can be a passive partner with an active investment and see phenomenal returns. Resort rehab done right means everyone wins … investors, staff, and guests. When they graduated from college, Josh begged Melanie to buy a duplex as an investment. They’d live in one home and rent out the other. “I had to let go of the three-bedroom, white picket fence idea in my mind, but right away I knew what I got into,” Melanie says. Over their real estate career, Josh and Melanie found themselves taking part in resort experiences across the globe and partnering with developers of specialty properties. Then the recession of ’08 happened. Suddenly, Josh and Melanie were sitting on a beat-up 1970s beachfront hotel. It was too risky to tear it down and start new development … so they decided to rehab the property instead. The couple realized that they LOVED interacting with guests and putting smiles on their faces. They fell in love with hospitality … and decided to make it their life’s mission. A rehabbed resort is one real estate investment where the person paying the rent doesn’t begrudge writing a check at all. When you’re on vacation, you want to splurge. You want to enjoy yourself and your experience … and you’ll gladly pay more to do so. Hospitality professionals know that the happier you make guests, the more enjoyable the visit will be. As an investor, YOU know that happy guests mean high returns. Resorts also offer a unique opportunity to increase revenue. There are two ways to make more money … find more people to sell the same thing to or find more things to sell to the same people. The hospitality business allows investors to do both with relative ease. And when you invest in a resort property, you have the added benefit of being able to enjoy your own investment … by taking a vacation. Josh and Melanie started Accountable Equity as a syndicated approach to resort rehab. “The first thing you must do when thinking about buying one of these properties is find great investor partners,” Josh says. Each month, Josh and Melanie host an investor summit. They bring together current investors, new investors, and prospects to tour the property and get a firsthand look at hospitality in action. These summits are an invaluable time to help investors see how revenue from different parts of the resort build off each other. When a party arrives for a wedding, they’ll book rooms. Since they’re staying on site, they might want to play a round of golf or spend time at the spa. They’ll need to eat, so they’ll hit up the restaurant and tasting room. “We call it a cascade of revenue,” Josh says. Syndication is a powerful approach to every aspect of hospitality. Beyond investment, the syndication spirit encourages team members to seek out experts in every field. “In our current project, we’re bringing in a top winemaker for the winery. We found a golf executive on his 111th course to help with ours. It’s all syndication,” Josh says. Accountable Equity’s current project, Renault Winery Resort, shows just how powerful … and profitable … revitalizing resorts can be. As the third federally registered winery in America, the property has been in the hospitality business for 155 years. The former owner managed the resort for 40 years, but over time began to let standards deteriorate under stress. “We found this amazing property that needed some TLC. But we were willing to take a fresh approach, look at it differently, consider its legacy, and see its next chapter,” Josh says. The team also studied market drivers in hospitality to determine if the resort could evolve to meet current and future needs. With a millennial movement toward authentic experiences, a historic property … complete with a Prohibition-era speakeasy … spells out attraction. And with nearly half of weddings taking place at a destination over the course of three days, a resort that caters to making happy couples’ special day extra special can generate big business. It’s no small undertaking. Managing and rehabbing 120,000 square feet of buildings and 242 acres of vineyards, a golf course, and a spa requires a winning team. “Our staff and our investors are our family. We all depend on each other, and honestly, it’s an honor to be a part of,” Melanie says. Take part in a unique real estate niche with resort rehab investment. Learn tips and valuable lessons for getting started in a special report from Accountable Equity, 10 Steps to Resort Rehab Riches. No matter your market of interest or area of expertise, consider what you can learn from the rehab-and-syndicate model of luxury hospitality investing. What value can you add to your properties … and how can you leverage others’ expertise to increase YOUR bottom line? People, businesses, and their money move around for lots of reasons. New jobs, better opportunities, tax incentives, high returns … the list goes on and on. Savvy investors monitor these constant migrations. They look for patterns and take action to capitalize on opportunities and avoid risks. All this movement affects supply and demand … especially for real estate. So today, we’re taking a look at some of the many factors moving markets today. 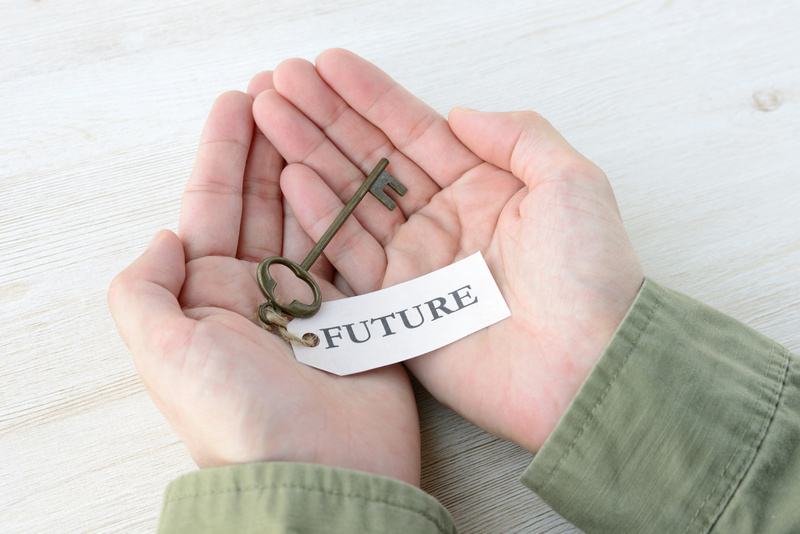 We talk a lot about specific markets that are providing great opportunities for investors right now … but what about a year from now? Five years? Ten? If you want to stay ahead of the game, you need to know how to read the signs of a market on the move. It’s important to remember that it isn’t the property that makes you money … it’s the people. A market is made up of people and businesses that have a relationship with real estate. That’s what makes it valuable. The more tenants you have in properties that you own, the more positive CASHFLOW comes in … and the richer you become. When you look at markets, the main thing you are looking at is supply and demand. Are people leaving? Are people coming in? Then, you need to ask why people are moving in or moving out. There are always underlying factors that affect where and when people move. As you work to identify these factors, you’ll begin to recognize patterns and principles … information that will enable you to spot emerging trends in other markets and get ahead of the pack. An article in Bloomberg Business Week points out the upside of a global downturn … juicy real estate deals. Worldwide, many high-end home prices are being slashed by as much as 30 percent. This market information gives us some interesting clues. These price cuts could indicate future opportunities … these markets could move! If you’re looking to flip properties, you could purchase real estate now and have a good chance of selling it in the future for more … and not just because of the equity you put into it to add value. Take a market like London, for example. London has a reputation for being super expensive. But sellers of high-end homes are slashing their price tags. When you do your research, you can discover some of the underlying factors contributing to this lower asking price. Recent changes to tax codes, Brexit, and a surge in populist thinking are just a few. So, people with the means and ability to move to a more friendly jurisdiction will do it. But London has a historically great real estate market … when things settle down, there’s a predictable chance prices and demand will shoot right back up. Sydney, Australia, finds itself in a similar situation. The median home price is down 6 percent year over year since last year. Australia has an economy that is largely driven by supplying commodities to China. But China is experiencing a slowdown, and Australian markets are feeling the impact. When you’re looking at markets, you’re looking for clues … and international politics and trade can be powerful factors. Hong Kong has been a strong real estate market … but like many parts of the world, real estate there is tied to U.S. dollars. The market is down 10 percent since August of last year and is predicted to be down another 10 percent by 2020. When you’re looking at moving markets, that’s not necessarily a bad thing. Populous markets have a lot of drivers … and in Hong Kong those drivers have caused prices to go down quickly. That doesn’t mean they won’t go back up. Hong Kong is generally considered to be very safe for property rights, personal liberty, and financial stability. It’s an economic capital in that part of the world. 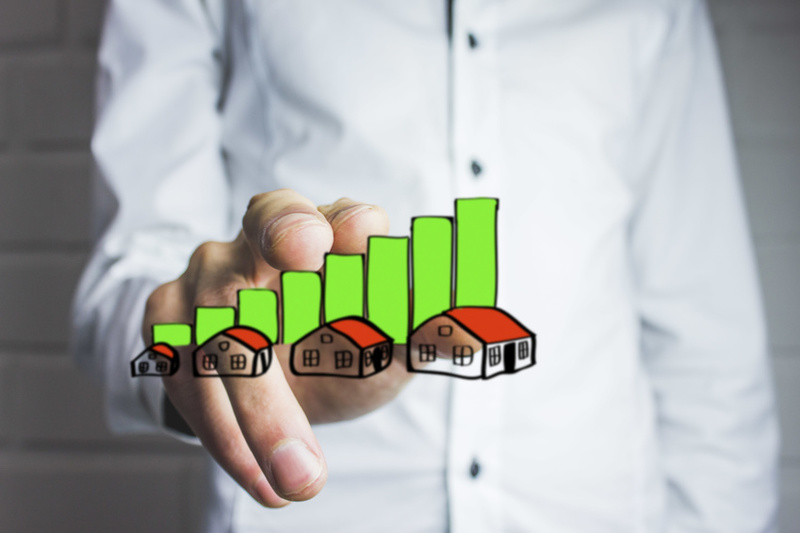 All of these factors are clues that tell the smart real estate investor it might be worth digging deeper to determine whether a market has a good chance of turning upward. If it does, a temporary downturn can be a lasting opportunity. There are plenty of markets on the move within the United States … and a lot of that has to do with taxes. Any time you have changes in the tax code, you will see changes in the way people invest their money. It’s an essential clue in identifying market trends. New York City is the perfect example. For the first time in a long time, the median price of condominiums in Manhattan has dropped below $1 million. That’s DOWN 6 percent from a year ago. Under the previous tax code, you could deduct your state and local taxes from your federal income tax. 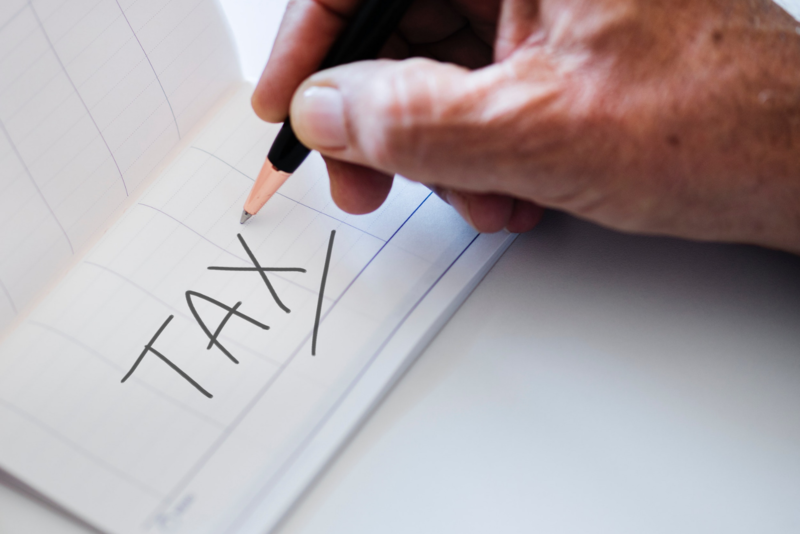 If you lived in a high-tax state like New York, you could mitigate a lot of those high taxes by simply deducting them from your federal liabilities. You can’t anymore. As a result, markets like New York City and California’s Silicon Valley are moving down … and low-tax jurisdictions like Las Vegas, Phoenix, and Florida are moving up. You might never invest in London, Sydney, Hong Kong, or New York … but you CAN learn a lot by looking at why those markets are moving. Markets move in different direction for different reasons. The more you understand, the more easily you can identify patterns in the trends occurring in your market of choice. Studying markets on the move is an invitation for you to do the research. A market that works for one investor doesn’t necessarily work for another. Markets have personalities … just like people. You wouldn’t marry somebody just because they were the first person you talked to or because your best friend thinks they’re interesting. You decide on your own investment life … where you want to be, and what you want to be doing. As major markets grow and mature, residents and businesses start to feel the financial pinch … and follow their wallets to greener pastures. Savvy investors recognize trending, emerging markets and migrate there in search of value. It’s all about monitoring where people are moving … and moving faster. Listen in as we visit with a multi-market investor to find out why and where he is looking for opportunities. One of the most crucial tasks for a real estate investor is finding a market that matches their real estate philosophy. As an investor, you must think about the personality and culture of your portfolio … then find a location that offers opportunities for growth and cash flow. On your own, you can do high-level research on rent prices, population growth, job creation, and infrastructure … but you need a team on the ground to succeed. A local team is in touch with the minute details of a market. They can point you to the specific areas of a metro that are best for your investment. We rely on people on the ground to help us understand what markets our listeners should have on their radars. Steve Olson is one of those people. As a consultant for Fourplex Investment Group, Steve oversees several up-and-coming markets … and he is here to introduce us to three metros attracting attention now. There are a lot of exciting things happening in this rocky mountain metro. The greater Salt Lake City area encompasses a lot of cities … each with unique investment opportunities and cultures. This long, skinny metro follows the mountains of the Wasatch front … and houses a little over 2 million people. A high birth rate paired with large numbers of people migrating from other states is a testament to the metro’s family-friendly and business-friendly culture. With mountains on both sides, the area is a hot spot for skiing and other winter sports. In the summer, hiking and biking are popular attractions. From a real estate perspective, Salt Lake has been a stable market for some time now … but it’s growing faster and faster. Two key areas that draw investment attention are Silicon Slopes and the Northwest Quadrant. Silicon Slopes is home to towns like Lehi, American Fork, and Draper. The nickname refers to the large number of tech companies that have set up shop there. Organizations like Adobe, Ancestry.com, and even the National Security Agency (NSA) have built major hubs in the area. With a rapid influx of new residents, there have been some growing pains for the tech towns … but infrastructure is catching up and new construction is BOOMING. The Northwest Quadrant is what Steve calls “an interesting opportunity.” Being surrounded by mountains leaves only so much space for new growth. The Northwest Quadrant is near the Great Salt Lake and the Salt Lake City International Airport. “If you want land in any kind of quantity that’s affordable, that’s the direction you have to go,” Steve says. Businesses recognize this and are embracing the blank slate. Amazon recently built a new shipping facility in the area, and so did UPS. Thousands of new jobs mean new residents … and those residents are looking for affordable places to live. The two main cities in the Northwest Quadrant are West Valley City and Magna. In the past 15 years, only ONE new apartment complex has been built in those cities … and it is operating at 97 percent occupancy. Steve says the location has lots of potential. Tenants can enjoy new, clean, affordable places to live and get to downtown Salt Lake City in 15 minutes. “You’re going to look at that area in 5 to 10 years and not even recognize it,” Steve says. Houston, Texas, is a go-to market for many investors … but a recently completed toll road is opening new parts of the area for investment opportunity. After Hurricane Harvey, the fate of the Houston metro housing market was uncertain. But just four weeks after the storm, home sales had rebounded and seen the greatest rental activity of all time. More and more growth is flowing into the northwest part of the Houston metro. For many tenants, Cypress, Texas, is the destination. This suburb has become one of Houston’s largest communities and recently ranked 50th in the top 100 highest-income urban areas in the country. The oil and gas industry have a major presence in the area, as well as the healthcare, aviation, and distribution sectors. With a diverse, expanding economy, Cypress is on track for significant job and population growth … a great sign for real estate! You don’t normally hear a ton about this market because it isn’t a giant metro. As of 2018, about 700,000 people call Boise, Idaho, home. But Steve says if you dig into the stats, you’ll feel very confident in its potential. People who are tired of metros like Portland and Seattle are going to Boise. “Boise is more business friendly, but you’re still in the Pacific Northwest,” Steve says. Quality of life in the area is marked by access to plenty of outdoor activities like biking, rock climbing, water sports, and skiing. The metro is notable for its population and job growth … triple the national average … and is landlord-friendly. And who could forget the low taxes? New residents are moving into suburbs like Nampa and Meridian and targeting new construction. No matter where you invest, there are many ways to put your money to work for you … and these markets are no exception. The approach Steve takes with Fourplex Investment Group is a particularly unique niche. By building brand-new apartment buildings on empty land, Steve and his team can meet rising space needs and offer great incentives and returns for investors. That means instead of buying the 40-year-old fourplex down the street, you can buy four units in a 100-unit, brand-new apartment complex. And you’re not at the mercy of apartment or commercial financing! Whatever your investment approach and chosen market, remember that it is all about finding an opportunity that matches YOUR philosophy and works for YOU. 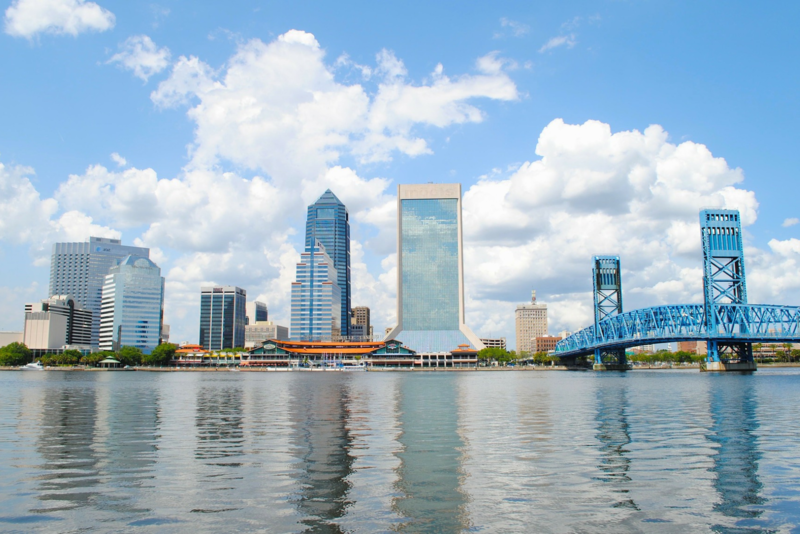 It’s the first week of our market spotlight series … and we’re starting with a city that has been on our radar for a while … Jacksonville, Florida! There’s a lot to like about this Northeast Florida city. 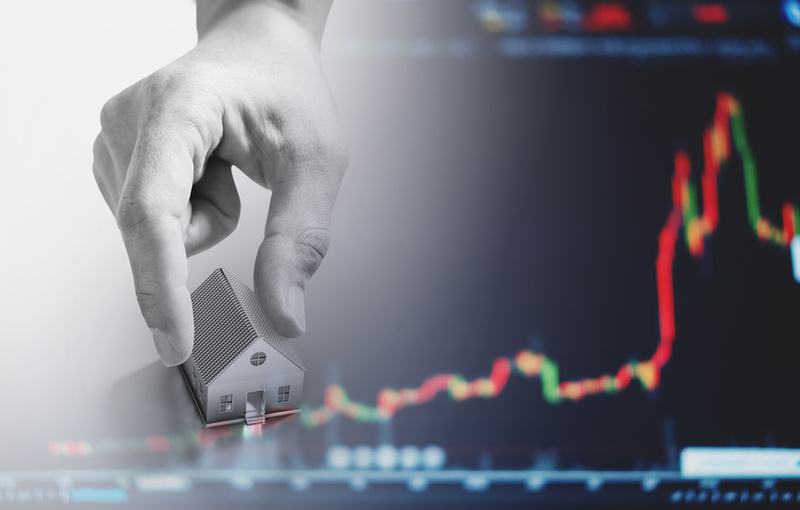 To start, it’s the fourth largest economy in Florida and has the largest population in the state … which means HUGE opportunities for real estate investors. Listen in as we visit with some of our favorite boots-on-the-ground experts and explore all Jacksonville has to offer. There are so many places for you to invest in real estate. So, for the next few weeks we are highlighting some of the markets we find interesting this year. Jacksonville, Florida, is a place we have been looking at for a long time because there are SO MANY reasons to like it. Jacksonville has the largest population in Florida and the fourth largest economy. And did we mention it’s a no-income-tax state? Florida is the No. 1 location that baby boomers choose to retire in, but the year-round sun attracts younger tenants too. Variety and diversity is the name of the game. Whether you’re a single-family-home investor or are interested in multifamily properties or even vacation ownership, Jacksonville is full of possibilities. Our guest today is Chris Funk of Southern Impression Homes. Chris started out in the dry-cleaning business … and then the ’08 crash happened. Like many business owners, Chris lost about 20 percent of his revenue. He needed to find a new source of cashflow. What he found was real estate. Ultimately, Chris bought up about 25 homes. He bought them cheap, renovated them, and rented them out. The cash came in … and Chris was hooked. He expanded his portfolio and soon went from buying 50 houses a year to buying 50 houses a month! The biggest challenge for Chris was finding good property management, so he decided to do it himself. Before he knew it, Chris was running a large property management company and expanding from renovations to land purchasing and new construction in Jacksonville. Chris says that renovating older homes is still his bread and butter, but he realized there are great opportunities for profits from new construction. New homes come with limited maintenance costs, and when you build from the ground up, you have 100 percent control over every aspect of the build. New construction is often more attractive to tenants … much of the growing labor force in Jacksonville has chosen to settle in new construction. And more interested potential tenants means properties are more attractive to investors like you. It’s this aspect of business that makes Chris’ approach to the market unique. Instead of focusing on selling to individual owner-occupants, Chris tries to sell most of his inventory to investors. Chris says he doesn’t want to just sell a house and go away. He wants to become part of the investor’s team on the ground and manage their assets … all of them! It’s a long-term opportunity instead of a one-time sell. And investors who work with Chris do more business, more often. Investment opportunity in Jacksonville isn’t confined to single-family homes. Chris knows this and builds new duplexes, triplexes, and fourplexes as well. 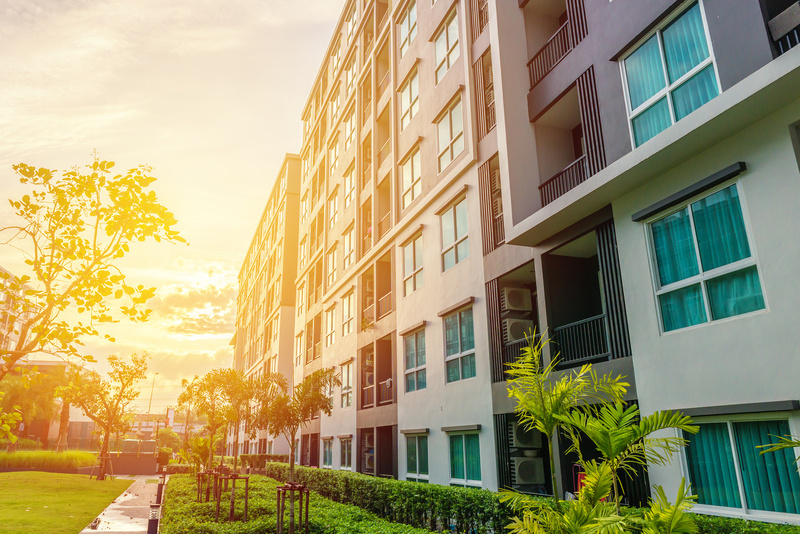 Like many other markets, the cash-on-cash yield for a multifamily property is higher than that for a single-family home … but you do give up some appreciation. One of the most attractive elements of the Jacksonville market is affordability. Single-family homes range from $150,000 to about $200,000. The highest priced fourplexes clock in at about $550,000. Jacksonville … like the rest of the sunshine state … has had double digit population growth every year since the census was created. It’s not a town full of retirees either. Young professionals settle there to take advantage of affordable prices and job opportunities. The city has a booming financial district with major corporations like Fidelity National Title, Ameris Bank, and Wells Fargo. There’s also a thriving industrial sector. Companies from Coach to Mercedes and FedEx have major distribution centers in the metro area. The United States military maintains a large presence in Jacksonville … and they are expanding their ranks. From a tenant perspective, Southern Impression Homes General Manager Chandler Janger says this means the average resident is middle to upper middle working class … largely reliable and looking for a great home at a great price. By keeping property management in-house, Southern Impression Homes can give investors in-depth insight into each of their properties. An online portal offers instant access to occupancy, payment, and tenant information. Owners are paid electronically the month after rent collection and receive a monthly statement broken down by property. Chandler says if there’s one thing investors should know, it’s that communication is key. In property management, there are a lot of moving parts … clear communication makes everyone’s job easier. With great teams in place on the ground and beautiful properties, Jacksonville is a market worth looking into. To discover if Jacksonville is a good fit for your portfolio, check out the Jacksonville Market Report prepared by Chris and his team at Southern Impression Homes. We taped this episode of The Real Estate Guys™ show at the Single Family Rental Investment Forum in Scottsdale, Arizona. This is our second year at the event, and while it features many big institutional investors, we’ve also spoken to a number of mom-and-pop investors who are looking at the big picture for single-family investing. That’s a great thing to do…it means you get a look at what your competition’s doing so you can jump into market niches before they do. In this show, we talk to a guest who has found a market niche and perfected the process for investing in single-family homes there. We always say live where you want, but invest where the numbers make sense. Well, our guest today happens to live and work in the same market. He has spent so much time with his boots on the ground … 20 years! … that he has his market down cold. Our guest is syndicator and investor Patrick Grace, and his market is Kansas City, Missouri. Pat works exclusively on the Missouri side … but there is a Kansas City, Kansas, right across the river, in case you were curious. We asked Pat to give us a market spotlight, so let’s start with the basics. Why does Kansas City make sense? The cost of living is low. Housing, groceries, and basic necessities are affordable for residents. It’s a low-risk market. KC doesn’t go through big ups and downs. It’s a booming metro area. KC is centrally located in the U.S., making it a transportation hub for trucks, trains, and boats. Both the Missouri River and the nation’s second-largest railroad pass through KC. It’s packed with thriving educational institutions. Pat says there are almost 47 four-year colleges within 30 to 40 miles of the KC metro area. Many college grads come to the area for school, then stay to work and live. It’s business-friendly. Not only because of its great location and low cost of living, but also because of labor availability. Are there any weaknesses to KC? Pat says most jobs are fairly low-wage, which makes sense, based on the city’s cost of living and economic base. That’s actually a good thing for single-family rental investors … it means people stay renters. Pat is a syndicator in Kansas City. He currently owns and/or manages over 700 single-family homes in the market. His focus … his niche … is finding distressed properties or properties on auction and bringing them back to life. His business is a vertically integrated, one-stop-shop for investors. He has an in-house real estate company for finding homes along with construction and property management businesses. Investors can invest in anywhere from 1 to 100 homes, and Pat’s team handles the entire process … from finding the property, to fixing and renting it. Properties in Pat’s portfolio usually fit a standard profile … 2-bedroom, 2-bath homes with 3-car garages, sold for $130-150 thousand. Investors usually put down 20 to 25 percent of the sale price, for which they have a variety of loan options, including Fanny Mae, IRA funds, 1031 exchanges, and private loans. “Renters are plentiful,” Pat says. And rents are reasonable for both renters and investors seeking cashflow. The sweet spot, Pat says, is between $800 and $1,500 per month. What about the tenant-landlord law? “Missouri is favorable to landlords,” he says. Landlords can get in front of a judge within a month and get non-paying tenants out within 30 days of the court date, typically … although usually, it doesn’t come to that. And occupancy is high. “Our portfolio is 97 percent occupied,” Pat notes. He says he gets a pile of rental applications every day, which means he can be selective about screening and vetting tenants. Pat’s business functions on a turnkey rental model. In fact, he says, 90 percent of his investors live outside of Kansas City, simply because Pat and his team are so good at handling every component of the buy-rehab-rent-manage process. Investors don’t have to use all of Pat’s services, but most choose to once they buy one (or more) of the properties within his portfolio. Most investors come in after Pat has found, rehabbed, and rented the property, but some like to get involved earlier. That’s the “skinny cow” rental model. In those cases, investors are involved from the beginning. They know exactly how much the property costs and have a say in rehab and construction. They still work with Pat’s vetted crews and companies, but they get to see the process from beginning to end and have a say in tenant placement. This allows investors to get some education on the process. Pat’s business model works well because he’s exploiting a niche. He says most hedge funds and bigger investment companies go after more expensive homeowner-sold, ready-to-rent properties instead of choosing the more intensive value-add option. By working with distressed properties, Pat can force equity. And he’s learned that by choosing premium-grade materials during rehab, he can also charge premium rents to tenants. That means spending maybe $1,000 more than he could to put in quality tiling, fixtures, and appliances that draw more, and better, tenants. And because Pat owns his own rehab and construction companies, he can use the same materials in bulk and renovate quickly and efficiently. Tenants usually sign one- to two-year leases. Pat says his contracts have automatic lease renewal clauses along with 3 to 5 percent yearly lease escalators. What does Pat wish people knew about Kansas City? “Kansas City is low-entry and high-cashflow, but we also have a duel-exit strategy,” Pat says. Owners can rent for cashflow or sell rehabbed properties for equity. Pat also says he wished people knew how metropolitan KC is. It’s a big metro area with a revitalized airport, great infrastructure and transportation, including over 1,000 miles of bike lanes, and a growing number of commercial and retail facilities. Yet despite its growth, KC remains affordable to the tenants that are Pat’s bread and butter. He says he primarily serves service workers, medical professionals, mechanics and truck drivers, warehouse and distribution center workers, and tech professionals. Most tenants work blue-collar jobs, making them reliable long-term renters. And the growth shows no signs of stopping … millennials and college grads are flocking to KC and settling down there. 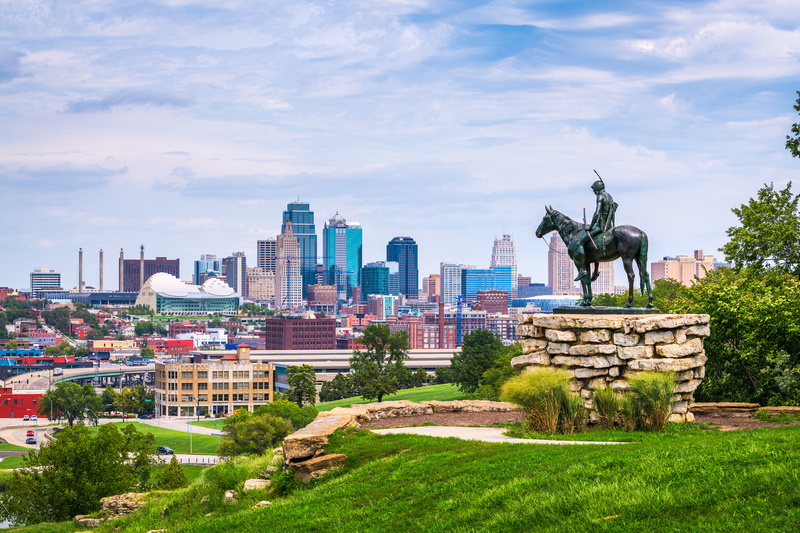 KC is the perfect combination of affordability and lifestyle. Kansas City sounds pretty great to us, but if you want even more information, check out Pat Grace’s exclusive webinar, which you can access by listening in to the podcast. He also created a market report just for our readers. Check it out here! Welcome back to an all-new edition of Ask The Guys! Today, we’ll be answering listener questions. So listen in for our best real estate tips and tricks! A disclaimer … we are not tax advisors or legal professionals. In our Ask The Guys series, we give ideas and information … NOT advice. How do I find a property management company? This question comes from Lee, in Bay City, Michigan. 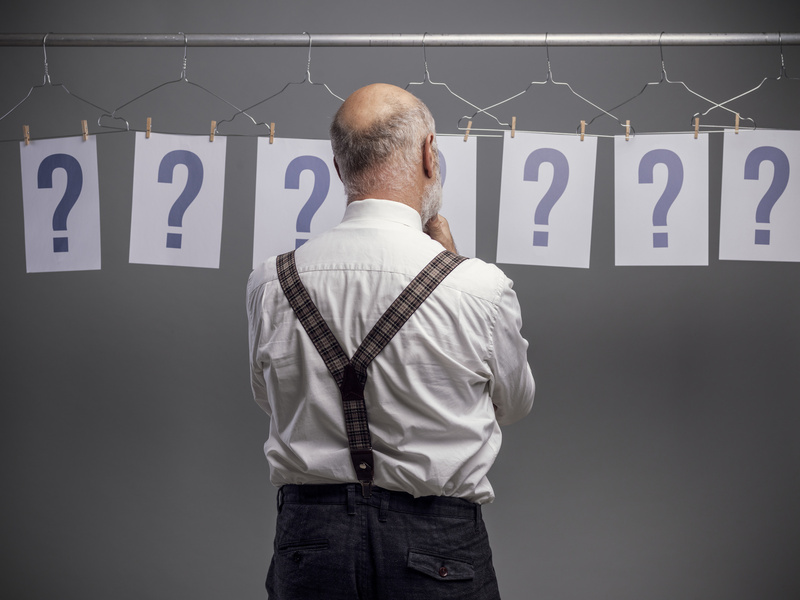 He wants to know whether we have any advice for finding—and vetting—management companies. He says he’s investing in his area, but the only management companies he can find are run by real estate agents on the side. He has a day job, and doesn’t have time to manage on his own … so he wants to find a reputable company that’s up for the task. He also asks whether he should move out of his local area, since there aren’t many management companies. We always say you should invest where the numbers make sense … but you also need to invest in places where you can find a great team. In the long term, your property manager is the most important person on your team. So if there aren’t any great property management solutions where you live … perhaps it’s time to expand your geographic investing boundaries. Start by refining your personal investment philosophy, then look for a market that both matches your goals and has the management companies to fill your needs. You want to make sure their compensation model is aligned with your best interests. In other words, when you earn money, they do too. And choose your property management company BEFORE you buy your properties. They can be an excellent resource for finding properties and asset class types that will work well for both of you. Remember, you can’t scale up without putting the right team in place. Getting a great property manager on your team helps you find the professional distance you need to run your business properly. How do Section 8 rentals work? Laura, from Naples, Florida, wants to know how Section 8 rentals work and how she can acquire affordable housing in her investment market. First, a few things about Section 8. Section 8 is housing subsidized by the Department of Housing and Urban Development (HUD). But it’s administered by local public housing agencies, so it’s not always available and differs across the country. Section 8 can be great because a portion of the rent is paid by the government. You basically have a guarantee you’ll get most of your rent on time, regularly. But tenants in this housing can be a tough crowd … sometimes they don’t blend well with other, non-Section 8 tenants. For that reason, we like a property to be all Section 8 or none. A great resource for learning about Section 8 is Mike McLean, who has published a book called the Section 8 Bible and has some great online resources, too. Affordable housing can be a good place to be because of stagnant purchasing power … but make sure you’re playing close attention to the program from which funding comes. And keep in mind … the devil is in the details. If you’re not managing the property yourself, make sure your property manager is well acquainted with Section 8. Should I invest now, or later? Casey, in Lehi, Utah, has been listening to the podcast, and now he has a pressing question. Casey has saved up $100,000 to invest, but he wants to know whether he should invest now or wait until the market takes a dive. He mentions worries such as rising interest rates, an unstable dollar, and inflation. Let’s start with a premise … markets will either do well or poorly in the future. We know that. We also know that when the market hits the bottom, you can only go up. Real estate is a long-term, buy-and-hold business. But it is interest-rate sensitive, so you want to make sure you lock in long-term financing if you invest now. It’s also good to keep some liquidity for if and when the market does go downhill. Invest in things that are likely to do well, even when the market is bad, particularly mid-level rentals and below. There will always be demand for housing, especially mid-range housing. Invest in a forced equity situation … a neighborhood or property that has room for improvement, which you can force upward in value. This will help you mitigate downward pressure to the dollar. Invest in a bigger market … this provides stability, as these markets have more ballast during tough times. Step in on the debt side of the market by lending money to other investors. Work with an experienced syndicator who is more likely to get investments right, even when times are more precarious. Remember, when you’re in property for the long haul, most of the time you’ll be fine. The key is to structure deals so you can weather the ups and downs. Another thing to consider … the price only matters when you buy and when you sell. In between, it’s all about cashflow. Real estate is one of the best inflation hedges if you structure the financing properly relative to cashflow … but you can’t fledge against inflation if you don’t do anything at all! How do I create residual income with little savings? Jeff, in Fountain Hills, Arizona, says he is in an interesting situation. He doesn’t have any income, but he has enough cash to live on for 24 months. In the meantime, he wants to figure out how to create residual income that will pay for his living expenses going forward. Jeff is looking at building a balance sheet of passive income sources. But right now, he has time, labor, and energy he can put to work. And since he’s not holding on to a chunk of cash, the active investor route is a good one. Force equity by fixing and flipping. Earn cashflow by fixing, holding, and renting. Become a syndicator and use other people’s money to make great investments. It’s our favorite way to go full-time, fast. Basically, what Jeff needs to do right now is to build up his investment capital so he can start getting some cashflow. But before he does that, we suggest he invest in education and build relationships. Get the right tools in your toolbox and the right advisors at your back before you go big. Can you recommend turnkey management companies? Keith hails from East Sandwich, Massachusetts. He recently bought a home through Mid South Homebuyers and is ready to buy another. The problem? He’s on the waitlist at Mid South. In the meantime, he’s looking for another turnkey company that manages the houses it sells. One disclaimer … we don’t know anybody quite like Terry Kerr at Mid South. But we do know lots of other great folks. The idea of a turnkey provider is that they do the whole thing … find the properties, get them in great shape, put tenants in, and manage the rentals. But before you look for a provider, think about the type of property, market, and team you want. Then go ahead and search our provider network for someone who can help fill your needs. We don’t guarantee anyone on the list, but we do promise we’ve spent a lot of time with them on the ground and have seen enough to trust them. Should I attend Secrets of Successful Syndication now, or later? Gene, in Boston, Massachusetts, is an investor who owns two duplexes. He wonders whether he should attend our signature Secrets of Successful Syndication conference now, or later in the year when he has more experience. We’ve gotta say, we really think the key is for investors to come early and often. This conference is designed for investors who already have a portfolio and are ready to take the next step. But even if you’re just starting out, it’s a great way to get around what we call “evidence of success” and learn the power of networking. Experience is something you can accumulate through other people. And syndication is all about having the experience to make good investment decisions. So, for those who want to move forward, we recommend you start as soon as you can.